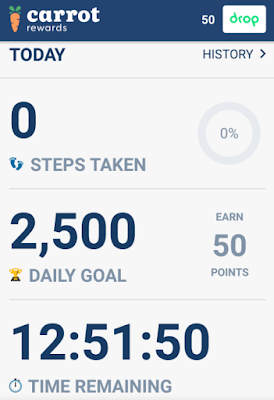 Open your Drop app, tap the Settings gear ⚙️ (top right in Activity) and scroll down to “Earn more points.” Then, Copy that Carrot code to your clipboard. 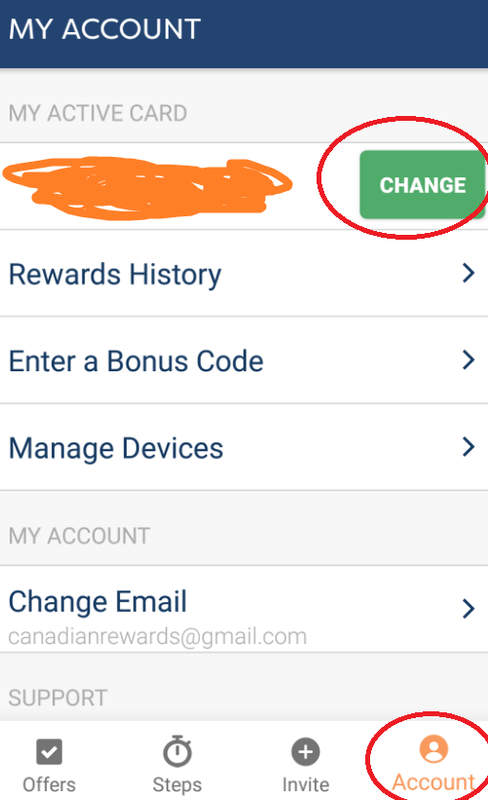 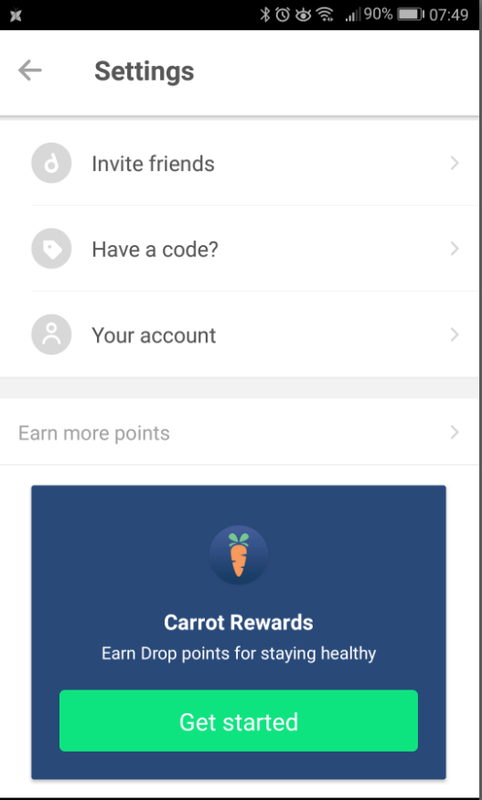 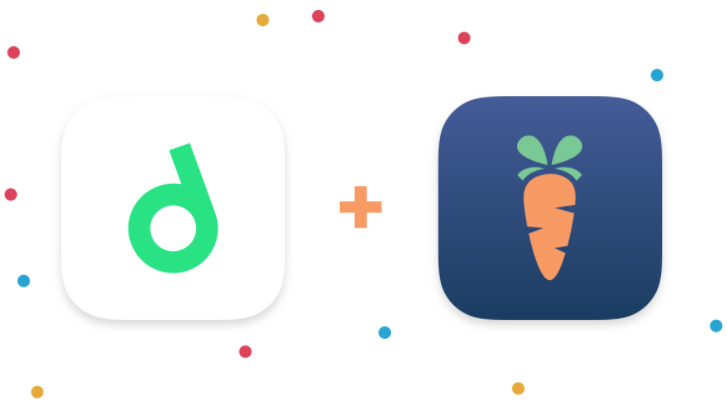 Open your Carrot app, click the "Account" at the bottom-right corner, then you can add or change your rewards partner to Drop by pasting your Carrot code (copied from Drop) at "MY ACTIVE CARD". 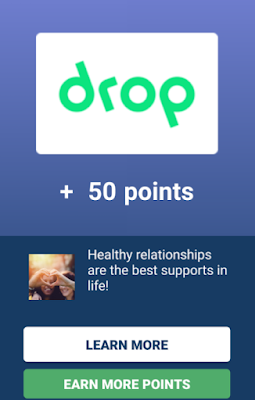 1) answering health related questions => Normally you can earn 50 - 100 points for each question. 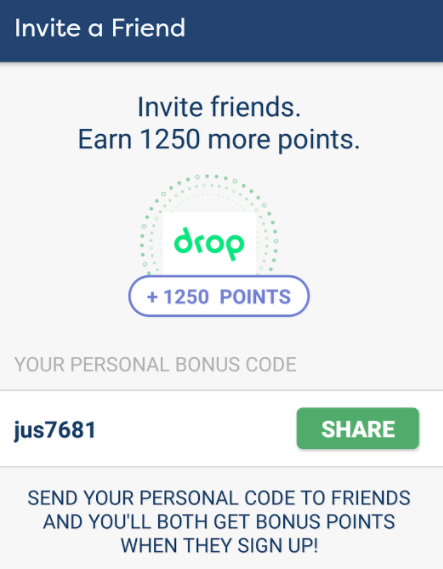 3) referring your friends => You will earn 1,250 Drop points (value $1.25) for every friend that joins Carrot with your invite code! 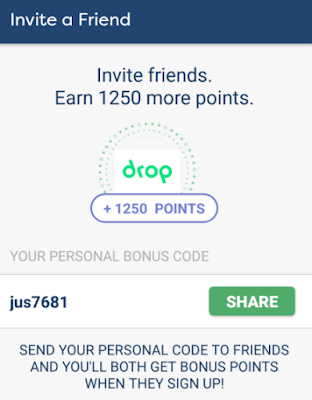 And your friend will also earn 1,250 Drop points. If you need a Carrot invite code, you can use ours: jus7681 Thanks. 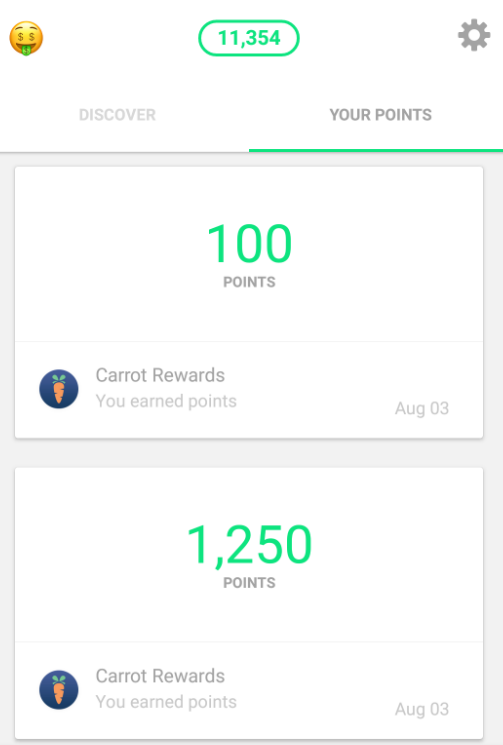 The Drop points you earn in Carrot will show as "PENDING" at first place. Those points will appear in your Drop account after around 48 hours (at least that is my experience...).